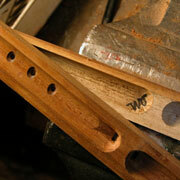 Traditionally, the red cedar flute is made of two hollowed halves, with front air chamber and rear sound chamber. This construction style makes the soft, warm and variable sound. The tied rider or saddle connects the two chambers and allows the sound production. 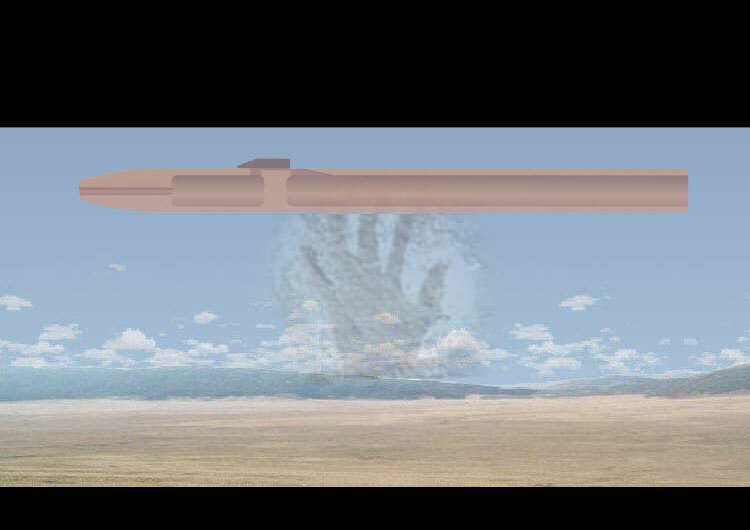 The bottom holes are the "Four Wind Holes", they have not only spiritual background, they also used to the fine-tuning of the baseflutetones. 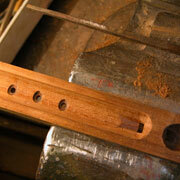 The open hollowed halve design allows me to work out the inside (the soul) of the flute especially fine. So are the tone-holes and the labium made/edited from inside. This may explain the question of some flute owners why the flutes that I made sounds so different.